Showing 1 - 2 of 2 Products for Automatic Transmission Dipstick. 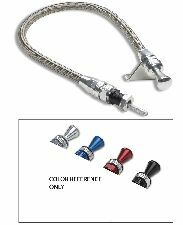 Compliment your engine compartment with one of these beautifully chrome plated dipsticks and tubes. Includes O-ring.